Our passion is to offer professional, friendly, timely, courteous and convenient services to our valued clients. We maintain state-of-the-art equipment to facilitate the practice of the highest quality medicine available. It is our goal to provide excellent, comprehensive client education in all aspects of animal care. Our well-informed clients are presented with the absolute best services available and their wishes are carried out at the highest standard for a reasonable fee. We use this formula to meet your needs throughout your pet’s life. For your convenience we are a one stop veterinary hospital. We can help you choose the right pet for your family, teach you how to take care of your pet, provide wellness services, vaccines and food to help them grow up healthy and happy. We also provide Training and Behavior services to deepen the pet-owner bond and solve behavior problems. Our staff work closely as a team, participate in on-going training and education, and consult with each other on a regular basis to ensure that every member of our team provides high quality veterinary services. We maintain a cooperative, team approach that promotes a work environment where employees can experience personal and professional growth in an enjoyable, challenging and fulfilling manner. This allows us to retain a consistent and well-trained staff who know our clients and their pets. 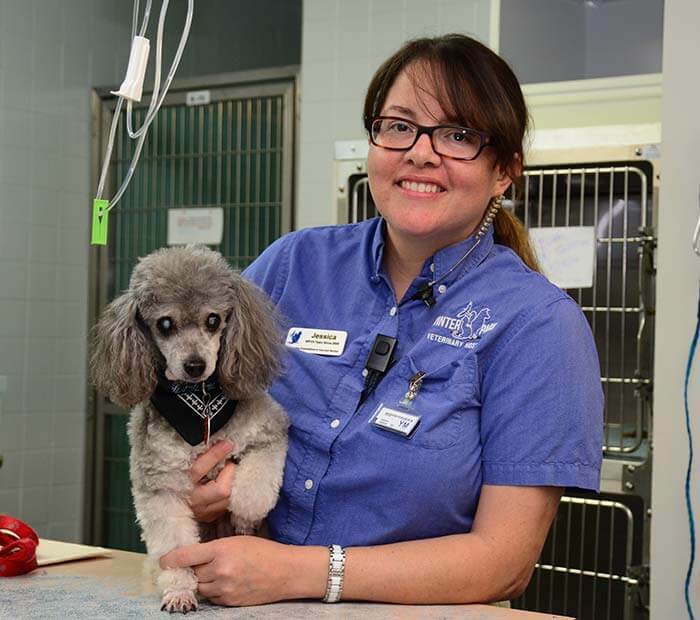 There will always be a smiling face to welcome you to the Winter Park Veterinary Hospital family.